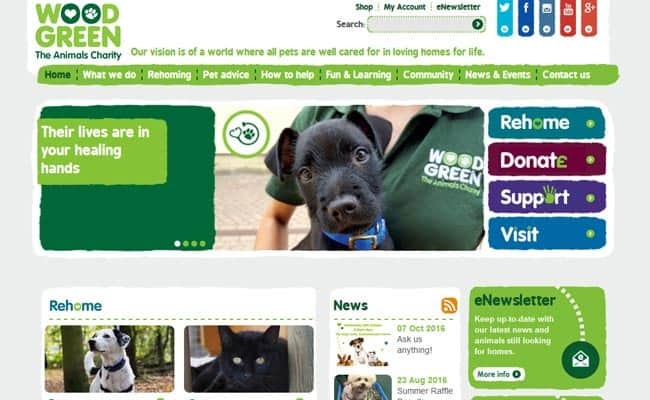 Wood Green Animal Shelter, Wood Green – The Wood Green Animal Shelter provides care and temporary sanctuary for animals of all shapes and sizes. As well as cats and dogs, we find loving new homes for chickens, rabbits, mice, guinea pigs, goats, sheep, ferrets and more. Our original Centre, first opened in 1924, is based in North London and still rehomes hundreds of cats every year.